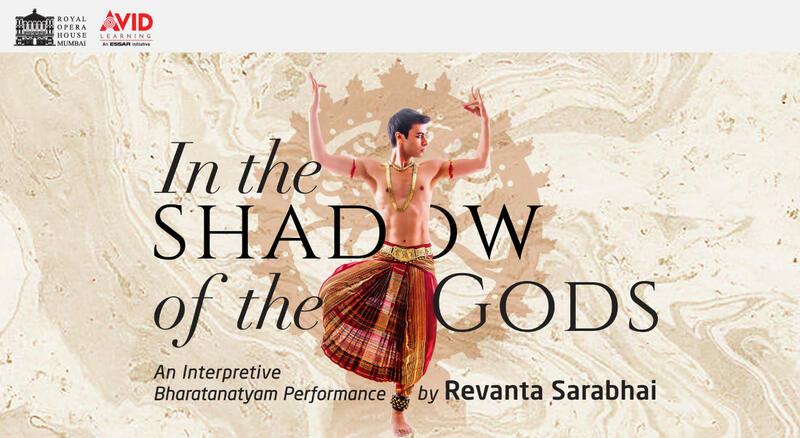 The performance will consist of five pieces in the classical Pandanallur style of Bharatanatyam, telling both traditional stories from mythology as well as modern stories with themes relevant to the 21st century. Sarabhai, who carries forth and builds on the legacy of his matriarchs Mallika and Mrinalini Sarabhai, has developed a unique repertoire of Bharatanatyam pieces, breaking outside the boundaries of tradition, and tackling themes that are relevant to the society and times we live in — presenting the classical form in a refreshing manner to young and modern audiences the world over. Press reviews from around the world hail Sarabhai as a dynamic aesthete who isn’t afraid of treading new terrain and who breaks open the language of Indian classical dance. Employing a refreshing approach to the authentic Pandanallur-style margam, Sarabhai takes the versatility of Bharatanatyam well beyond classical themes, redefining gender roles, upturning the deva-bhakta paradigm, and telling contemporary tales, exploring subjects as diverse as long-distance relationships, globalisation, climate change and environmental degradation. In breathing new life into the Bharatanatyam form, Sarabhai has been successful in bringing a fresh context to the classical dance and making it popular among a younger modern audience both in India as well as abroad. Join us for an avant garde performance that evocatively uses the language of classical Indian dance to give expression to contemporary narratives. Revanta Sarabhai is a dancer and choreographer par excellence. Born into a rich legacy of dance, he received his early training from his grandmother Mrinalini Sarabhai and mother Mallika Sarabhai, and made his solo Indian classical dance-debut at age 8. Bringing tremendous energy, masculinity and charisma to the stage, along with excellent technique in both nritta and abhinaya, Revanta is a rare treat in the world of male Indian classical dancers. Breathing fresh life into the ancient art form, his recent Bharatanatyam work breaks outside the boundaries of tradition, tackling themes that are relevant to the society today, taking the dance world by storm and receiving national and international acclaim across India, Europe and the United States. Rooted in traditional dance and performance forms, Revanta strives to create cutting-edge work that is immersive and responsive to the society and times we live in.